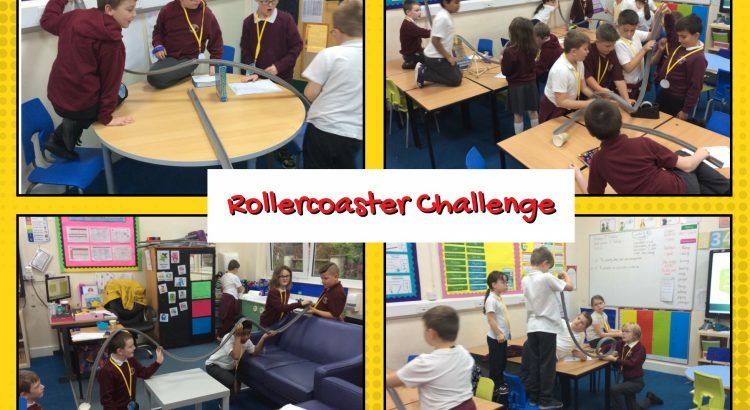 What a fab afternoon Year 5 had testing forces with their rollercoaster tracks. Could they make the marble go down a track at speed, make its way into the cup, go over hills and through a loop-the-loop? YES! Pupils started learning about potential and kinetic energy and realised rollercoasters have to be specifically designed in order for the train to make it to the end of the track (ideally in one piece). Later in the session, children began to carry out an investigation by considering the success criteria they formed from their challenges.